(3) Questions/comments from the audience until 9pm moderated by the League of Women Voters of Westchester County. In order to ensure that as many people as possible have the opportunity to speak and/or ask comments, speakers will be limited to 1 minute to make their comment or ask their question. Speakers will be chosen on a random basis. We will have translation services available for Spanish-speakers. Tendremos servicios de traducción en español. 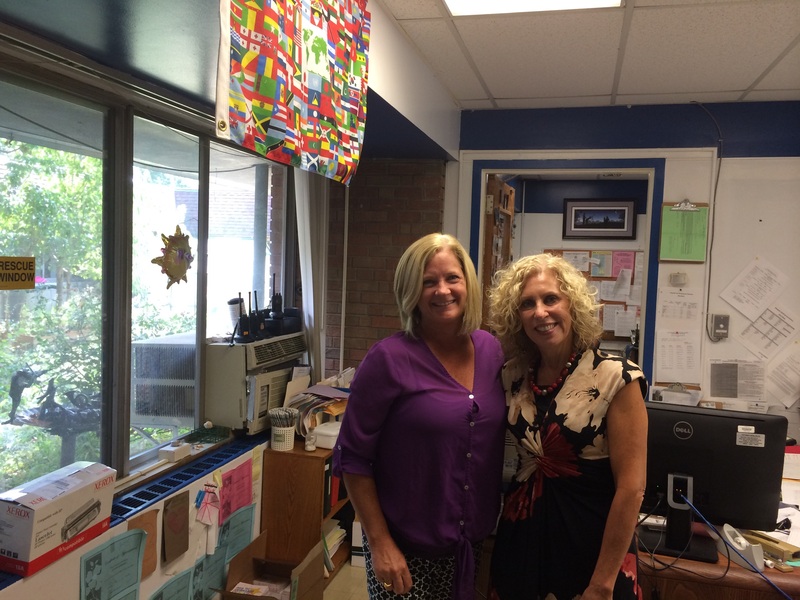 I had some great school visits yesterday with Principal Maria Vergez at Chestnut Ridge Middle School, Principal Barbarie Grieco at Margetts School, and Principal Astrid Johnson at Eldorado Intermediate School. 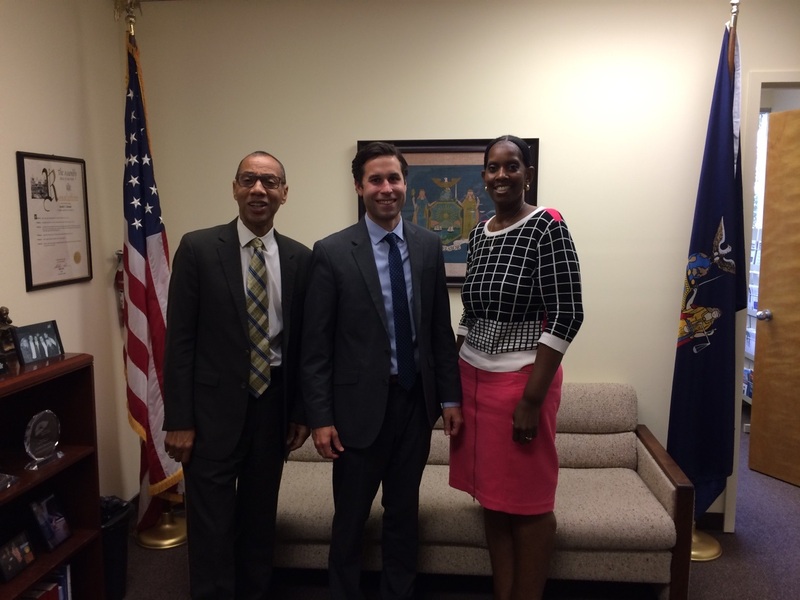 Shortly after their appointment, the Monitors had the opportunity to meet with East Ramapo’s elected representatives in federal and state government. We appreciated the opportunity to speak with these dedicated leaders and look forward to continuing to work with each of them as our work in the district progresses. During their presentation at this month’s Board of Regents meeting, the Monitors announced that they will be hosting a public forum for the purpose of hearing directly from the East Ramapo community, including from parents, educators, students, and interested community stakeholders. We look forward to seeing you there and hearing directly from the community. Please check back here regularly for further updates about this forum. 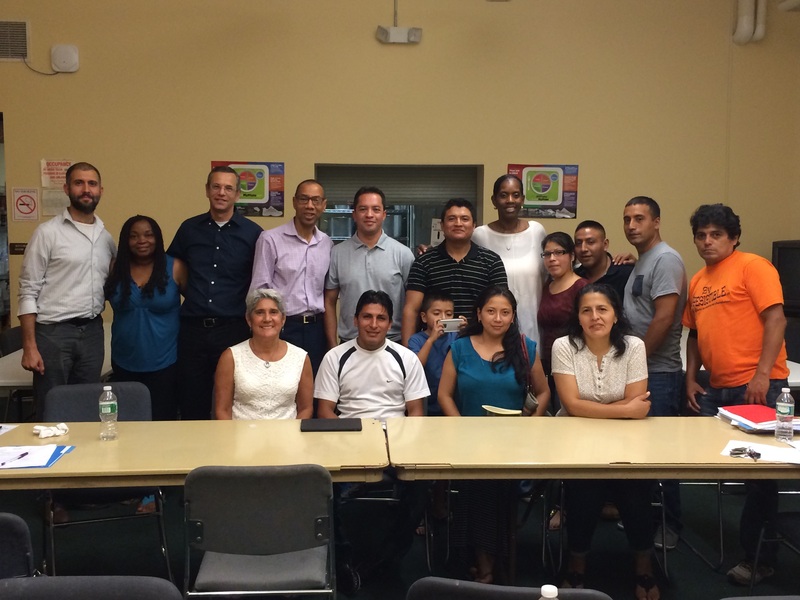 We were pleased to meet with representatives from Padres Unidos last night. The meeting was very productive, we appreciated the opportunity to hear the groups concerns, and we look forward to continued communication and collaboration as our work progresses. 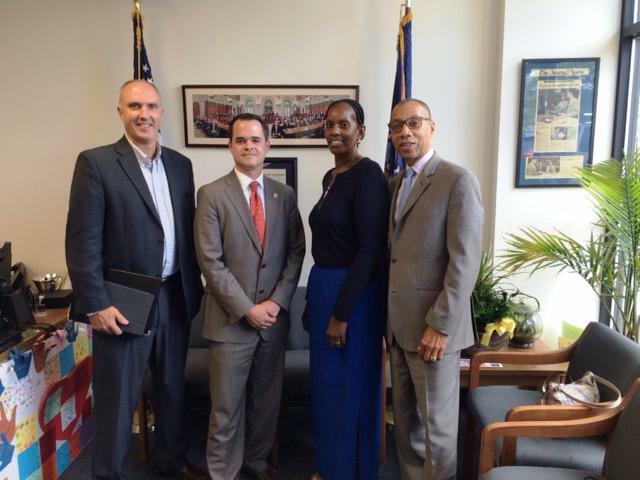 On Wednesday, September 16, the East Ramapo Monitors presented to the Board of Regents to discuss their findings and actions thus far, as well as their next steps. The Monitors presented a powerpoint to the full Board and a webcast of the presentation is available on the Regents website (go to minute 23:30 for the beginning of the East Ramapo discussion). Thank you for visiting this site. We are excited to offer this platform to provide the East Ramapo community with updates about the work of the Monitoring Team appointed by State Education Commissioner MaryEllen Elia. 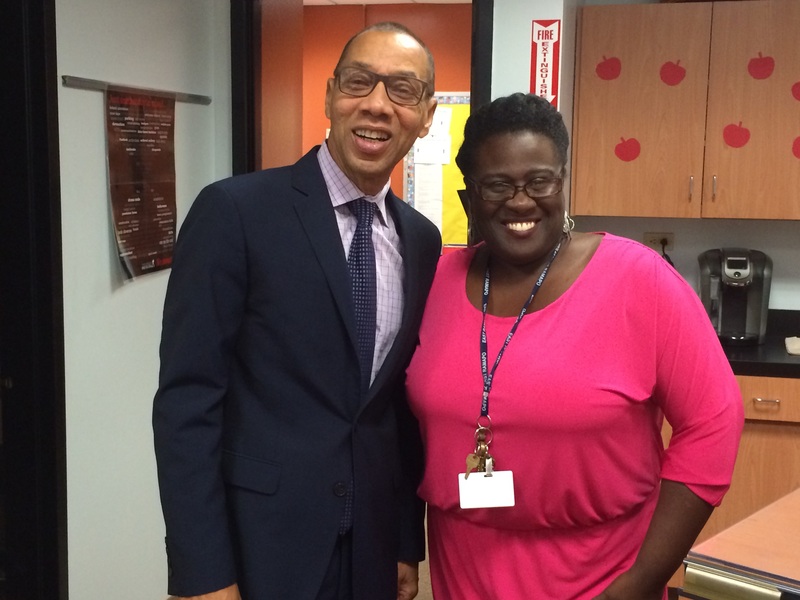 The Monitoring Team has already been active in the district, meeting with community members, parents, students, teachers, principals, board members, and district central staff. They have attended board meetings, conducted school visits, and toured facilities needing upgrades. As the Team’s work continues to ramp up, we encourage you to check in here often to learn about their findings and their work to improve the educational and operational functions of the district. For the time being, you can view the biographies of the three Monitors, as well as recent news coverage of their appointment and mission. Dennis M. Walcott recently served as an Honorary Distinguished Fellow at the University of the West Indies. Prior to that, Walcott served as Chancellor of the New York City Department of Education from 2011 through 2013, following more than eight years as Deputy Mayor for Education and Community Development. As Chancellor, Walcott led transformational change across a system of more than 1,800 schools with 1.1 million students, 136,000 employees, and a $24 billion budget. Chancellor Walcott prioritized cultivating teacher talent; expanding school choices; creating strong partnerships with parents; and preparing students to graduate from high school ready to succeed in college and careers. Over the course of Walcott’s tenure as Deputy Mayor and Chancellor, the high school graduation rate soared to an all-time high, the dropout rate fell by half, and college and career readiness had more than doubled. Initiatives led by the Chancellor included: the Middle School Quality Initiative, which strives to dramatically increase the number of students entering high school reading on or above grade level; the expansion of career and technical education (CTE) schools and programs, including a partnership with the City University of New York (CUNY), that has led to the groundbreaking models of the Pathways in Technology Early College High School (P-TECH) and the Academy for Software Engineering (AFSE); and, the creation of the Division of Equity and Access within the Department of Education to help address the achievement gap. As a result of multiple initiatives, the Department of Education has aimed to increase the percentage of Black and Latino students taking and passing the Advanced Placement exam; and has provided support to underrepresented students to prepare for admission to specialized high schools. Prior to his appointment as Chancellor, Walcott served as Mayor Bloomberg’s Deputy Mayor for Education and Community Development, overseeing and coordinating the operations of the Department of Education, the New York City Housing Authority, the Department of Youth and Community Development and the Mayor’s Office of Adult Education. Walcott was responsible for collaborating with community-based organizations citywide and coordinating policies concerning youth programs and adult education. As a kindergarten teacher in the childcare center where he began his career, Walcott recognized many children’s need for a male role model, and in 1975, he founded the Frederick Douglass Brother-to-Brother program, a mentoring program for young boys. He went on to serve as the Executive Director of the Harlem Dowling Westside Center, where he expanded services to children and families, and was the President and Chief Executive Officer of the New York Urban League. At the Urban League, Walcott developed a number of youth-based programs, including Jeter’s Leaders, which focused on healthy lifestyles, and Bridge to Brotherhood, in which he worked with youth in the African-American, Hispanic and Jewish communities. Walcott graduated from New York City public schools. A lifelong Southeast Queens resident, Walcott graduated from the University of Bridgeport in Connecticut with a bachelor’s degree and a master’s in education in 1973 and 1974, respectively. In 1980, he received his master’s in social work from Fordham University. Walcott and his wife Denise have four children and nine grandchildren. Monica George-Fields brings 28 years of experience as a district-level leader, a turnaround school principal and an educator to the efforts of leading School Innovation policy in the New York State Education Department. George-Fields is the President and Chief Education Officer of Reimagine Excellence and Achievement Consulting House (REACH). REACH is dedicated to increasing student achievement by coaching school communities through their school improvement and sustaining efforts. As a Senior Fellow for School Innovation for the Regents Research Fund, George-Fields was the architect of the state’s Diagnostic Tool for School and District Effectiveness (DTSDE), a school and district review tool used to evaluate the practices of all federally identified schools and districts. She also led the charge to convert required annual School Comprehensive Education Plans to 3-year strategic plans, which resulted in the adoption and implementation of the Strategic Plan for School Excellence for all 700 Focus and Priority Schools. Prior to becoming a senior fellow, she held positions at the New York City Department of Education, including Deputy Senior Supervising Superintendent, Deputy Chief Education Officer for Cluster Three, Senior Director of Policy and Strategic Planning for the Division of School Support, and Director of Curriculum for Empowerment Schools. In these roles, she supported schools and was the Department’s point person for Principal Performance Review evaluations, providing professional development workshops to over 900 principals, superintendents, and network team members. Earlier, George-Fields served for six years as principal of Adam Clayton Powell Jr. Elementary School (Public School 153 in Harlem), with an enrollment of over 1,800 students, 90 percent of whom were eligible for free and reduced lunch and 45 percent of whom were English Language Learners. She successfully worked with the faculty and private corporate partners to dramatically increase student English Language Arts and math scores to remove the school from the state’s failure list. During George-Fields’s final year in Public School 153, the school was one of 14 in New York City to receive a Quality Review designation of Outstanding. Prior to successfully turning around Public School 153, George-Fields served as an assistant principal, staff developer, and teacher. She currently teaches at The College of St. Rose and served for several years as an adjunct professor for Fordham University Graduate School of Education. George-Fields holds a Bachelor of Science degree from Florida A&M University in Political Science, a Master of Science in Education in Educational Leadership from Bank Street College of Education, a Master of Education in Organization & Leadership from Teachers College, Columbia University and a Doctorate of Education from Teachers College, Columbia University concentrating in Urban Education and Leadership. Dr. John W. Sipple joined Development Sociology in the summer of 2011 after 13 years in Cornell’s Department of Education. He has focused his research interests on the responses of public school districts and communities to changes in state and federal policy. Central to his work are issues of community and organizational change and how they relate to fiscal, demographic, and learning opportunities for students across racial, socioeconomic, and geographic lines. He teaches courses on the organizational, social, and political contexts of community vitality and the U.S. educational system. Dr. Sipple’s research analyzes the implementation of education and social policies on local communities and their public schools. Ranging from changing high school graduation requirements and state standards, the integration of school leaders in their communities, and early childcare and education in rural communities. Recently, Dr. Sipple has begun to more formally analyze the use of publicly available data. Through new technology, he has established a demonstration site of how state data can be accessed in usable and productive ways by general citizens of New York State. Through the creation of a RESTful web service, web and mobile-based applications are being developed to draw on the data in real time using the creativity and diffuse expertise of application developers across the university and world. The goal is to demonstrate for NYS how useful data can be to citizens and local leaders when hosted and displayed in useful and novel ways. Finally, Dr. Sipple is engaged in a new research project investigating the use of shared service agreements (formal and informal. This work, in collaboration with Prof. Mildred Warner, City and Regional Planning, is in collaboration with the County, Mayor, Towns, Planners, and School Superintendent Associations and will be a source of knowledge on the obstacles and value of shared municipal and interagency services. Dr. Sipple`s primary focus of outreach is in his capacity as Director of the New York State Center for Rural Schools which was established in September 2008. In this position, he works in support of the Rural Schools Association (RSA) of New York State, the state legislature, Governor’s office, and the State Education Department. He has a lengthy and productive relationship with the RSA and serves as the research arm of the organization. The work of the Center emphasizes building connections between key constituents, capacity of local school districts as well as the state of NY, and research in support of all its activities. Dr. Sipple has a program of outreach that builds off his research program and focusses on the intersection of community development and the $600 Billion/year Educational System ($60 Billion in New York State). This work includes the sharing of strategies municipalities and schools use to share services. It also focusses on the public policy issues of closing/merging schools and their impact on educational opportunity and community vitality. 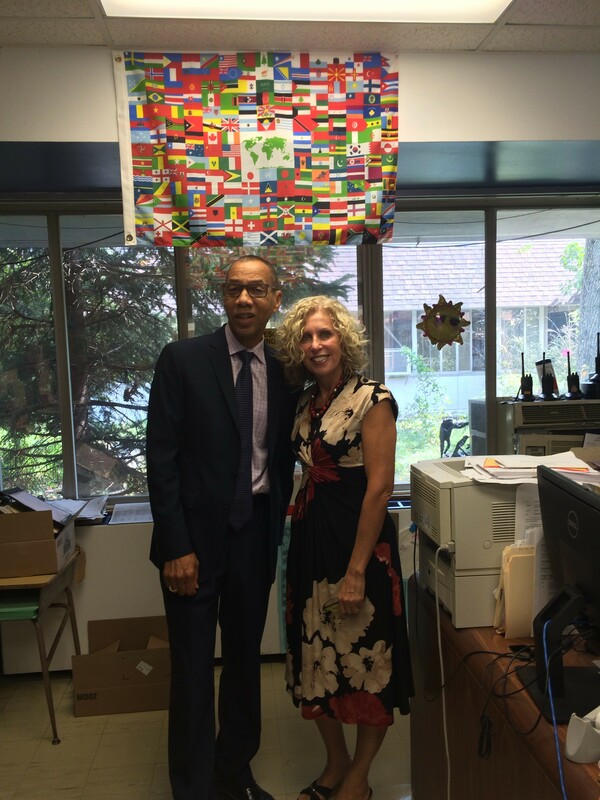 Former NYC Schools Chancellor Dennis Walcott to Serve as East Ramapo Monitor – Wall Street Journal.